For the city, see Khemarak Phoumin. The Royal Cambodian Armed Forces (Khmer: កងយុទ្ធពលខេមរភូមិន្ទ, KangYuthipol Khemarak Phumin) (RCAF) is the national military forces of Cambodia. The Supreme Commander-in-Chief is HM King Norodom Sihamoni, General Pol Saroeun is the Commander in Chief of the RCAF, which consists of the Army, Navy, Air Force and the Gendarmerie. 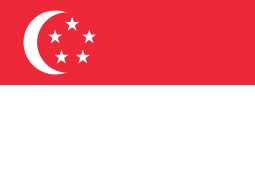 The armed forces currently operate under the jurisdiction of the Ministry of National Defence. Under the constitution the RCAF is in charged of protecting the sovereignty and territorial integrity of the Kingdom of Cambodia from external threats. The RCAF was created in 1993 by a merger of the Cambodian People's Armed Forces and the two non communist resistance armies. 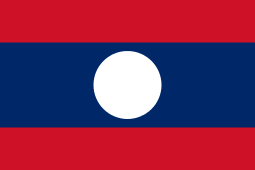 At the time, there were also resistance forces opposing the Government, consisting of the Khmer Rouge and a separate royalist resistance movement (also known as the National United Army or NUA). The forerunner of the Cambodian Armed Forces is the Division 125. It was established in 1978 by Hun Sen (now is Prime Minister) and the Vietnam People's Army's support. The Royal Cambodian Army is the largest force with troops stationed in each province of the country. The Royal Cambodian Navy is the second largest force and operates at sea, along the Mekong and Bassac rivers and in the Tonle Sap Lake. The military police force numbers 10,000 employees and runs parallel to the civilian police force. The military police have posts in every province and municipality across the country. The Royal Cambodian Air Force is the smallest of the military forces and has 5,000 members. 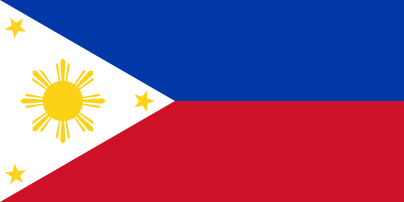 The Air Force operates in every province which has an airport. Cambodian de-mining force in Sudan. Cambodian Marines aboard the USS Tortuga during military training. In 2002, Prince Sisowath Sirirath, then Co-Minister of Defence, stated that the total Cambodian military strength stood around 120,000 persons. Since the end of fighting and the surrender of the last of the Khmer Rouge, the Cambodian military has been undergoing substantial changes as it shifts to a peacetime force. Since 1999, the government has been working to demobilise large numbers of servicemen with support from the World Bank. Demobilisation efforts began in February 2000 and the first 10,000 soldiers were demobilised in a pilot project later that year. In 2001, the first phase of demobilisation got under way and 20,000 soldiers returned to civilian life in large ceremonies around the country. A second phase of demobilisation was planned for 2003 where an additional 30,000 servicemen would leave the armed forces. However, the process has been stalled by allegations of corruption and procurement irregularities. 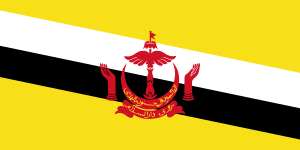 Flag under Lon Nol (1970-1975). 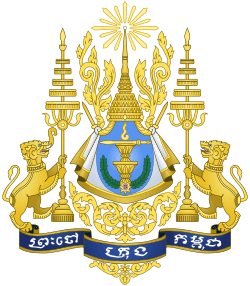 The Royal Khmer Armed Forces (Forces armées royales khmères; FARK), was established on 9 November 1953 under a Franco-Khmer convention. This contributed to the termination of the French colony and protectorate, and Cambodia obtained its own authentic military organisation. The FARK's roles were defined as follows: to guarantee the sovereignty of the nation and of the king; to ensure security, social order and the respect of law; and to defend the Kingdom of Cambodia. With 50,000 troops, FARK was organised at battalion level under the Supreme Commander of the Armed Forces, the Head of State. At this early stage of the birth of an independent nation, its armed forces were often armed with little more than wooden rifles to fool aggressive Viet Minh forces. This forced King Norodom Sihanouk to sign border treaty agreements with Vietnam which were very unfavorable to Cambodia, resulting in the loss of much of its territory. The military situation changed dramatically following the coup d'état in March 1970. In the Khmer Republic regime, FARK was renamed Khmer National Armed Forces (Forces armées nationales khmères; FANK). When the Cambodian Civil War followed, and in response to a declared state of emergency, the FANK's size was expanded to reach 200,000 military personnel organized in brigades and divisions. The armed forces of all categories were placed under command and control of the president. When facing NVA, Viet Cong or Khmer Rouge forces, FANK had full strengths as reported. In the beginning, NVA, Vietcong, and Khmer Rouge forces were often wiped out by FANK forces. Prince Norodom Sihanouk often announce on the radio and spread propaganda urging people to go to the jungle and join the communist to fight against the FANK forces. Some corrupt FANK commanders who a royalist supporter sold their weapons and intel to the Khmer Rouge forces where they were fighting. Often many FANK commanders, for example Norodom Chantaraingsey, were at the front lines when they launching operations against the communist forces. In late 1973, the American Congress finally lost all confidence in FANK, stopped all military aide to them due to corrupt commander or soldier who support and sold their equipment and supplies to Prince Norodom Sihanouk communist forces. Many Cambodians lost their lives as result of Prince Norodom Sihanouk that allowed the Khmer Rouge communist to seize power in April 1975, which started the Cambodian genocide. After the downfall of the Khmer Republic in April 1975, the Khmers rouges régime established a new military force called Revolutionary Army of Kampuchea (RAK). It was purely composed of original Khmer Rouge fighters plus defectors from Lon Nol's FANK. These defectors who joined the Khmer Rouge were never fully trusted by the original Khmer Rouge cadres. They were later purged by Pol Pot, when thousands of Khmer Rouges soldiers and officers were ordered killed by the Khmer Rouge leadership. Similarly to the other forces, the RAK was organised up to division level and was under command of the Chief of the General Staff General Son Sen and General Ta Mok. The RAK's strength was an impressive 375,000 man, fully armed military force, supplied by Communist China and some Eastern bloc states. However, the RAK did not operate efficiently, due to many Vietnamese double agents hidden among them. When Democratic Kampuchea launched an invasion into an area of southern Vietnam known as Prey Nokor when it was Cambodia territory prior 1949, the Vietnamese forces were caught off guard. Then their double agents in the Khmer Rouge forces proved valuable. These double agents were later found out to have become members of the Kampuchean People's Revolutionary Armed Forces (KPRAF), the armed forces of the People's Republic of Kampuchea. Following the intervention of the Vietnamese forces in January 1979, which resulted in the collapse of the Khmer Rouge regime and because of the effect of the Cold War, a new force was re-created in Cambodia: The Kampuchean People's Revolutionary Armed Forces, which later changed its name to the Cambodian People's Armed Forces (CPAF) of the Phnom Penh government, was rebuilt. This military organisation evolved, in terms of size and organisation, from battalions to divisions. In the meantime, anti-Vietnamese movements were formed along the Cambodian-Thai border. 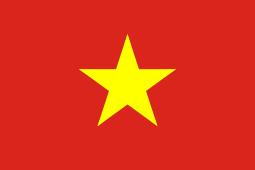 Apart from the remained NADK, two other non-communist resistance forces, the Khmer People's National Liberation Armed Forces (KPNLAF) and the Armées Nationale pour Khmer Independent – ANKI (previously called Armées Nationale Sihanoukist – ANS) were established. The military evolution of the last two movements was similar in character: from small armed groups to divisions. Because of the influence of the Cold War's ideological contest, and the interference of some global powers, Cambodia found itself in an insecure environment. This remained the case for more than 20 years after 1970, and was only partly resolved through the Paris Peace Accords signed in Paris October 1991. In reality KPRAF still dominated three factions of resistance groups. KPRAF integrated the Khmer Rough surrendering troops, KPNLF, ANKI and continue to dominated these groups even after integrations. 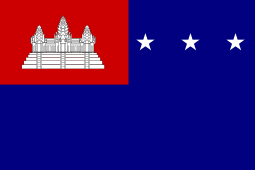 A legitimate national armed force, the Royal Cambodian Armed Forces, was re-established in 1993 following the creation of a democratically elected First-Term Government consisted of two Prime Ministers. 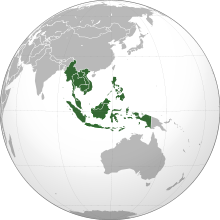 The armed forces of all parties, except the NADK, were integrated into one national armed force and later NADK integrated in 1998 after Pol Pot death. In reality KPRAF totally dominated these three integrated gurrilla groups. Commanders of KPNLF,ANKI, KR were later replaced one by one with KPRAF loyalist commanders. 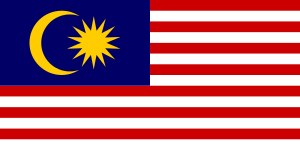 To put security problems to an end, the Government commenced its Win Win policy in mid-1995. The policy was to end the internal security crisis through national reconciliation and national unity efforts, under the rule of the King of Cambodia. Subsequent defections NADK units began in early 1996. The Win Win policy of Samdech Prime Minister Hun Sen continued to succeed as the last groups of the Khmer Rouge guerrillas were integrated into the RCAF in late 1998. It historically marked the total dissolution of the Khmer Rouge's political and military organs and the return of all secession areas to government control. The RCAF now has to continue reforms, so as to be in-line with the Government's political guidelines. These guidelines direct the armed forces to demobilise to an acceptable size, achieve sound capability, and inculcate high ethics and dignity, with advancement towards international standardisation in the future. The RCAF also has to plan for its agenda to include security co-operation for the common benefit of the whole region. 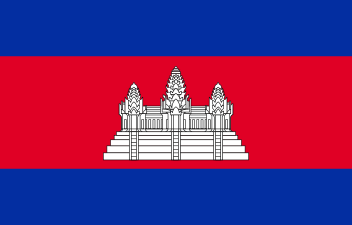 Wikimedia Commons has media related to Military of Cambodia. ↑ Grevatt, Jon. "Cambodia announces 17% increase in 2016 defence budget". IHS Janes 360. Retrieved 3 December 2015. Dylan Hendrickson, 'Cambodia's security-sector reforms: limits of a downsizing strategy,' Conflict, Security, and Development, Volume 1, Issue 1. Gerald Segal and Mats Berdal, 'The Cambodia Dilemma,' Jane's Intelligence Review, March 1993, p. 131-2. Includes listing of formations and equipment of the various factions. Robert Karniol, 'Confined to local waters,' Naval Forces Update, Jane's Defence Weekly, 20 June 1992, p. 1097. Status of Cambodian navy.